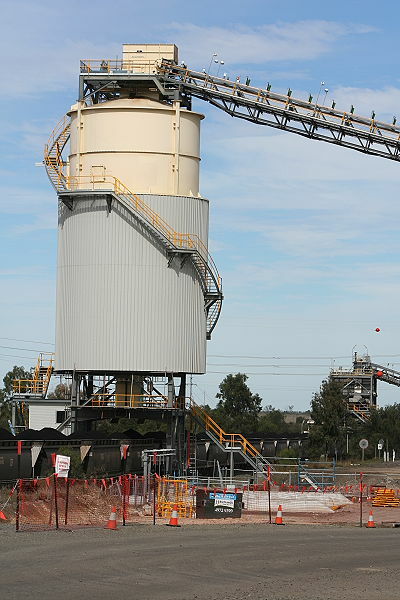 Moura Mine is the western end of the heavy haul section of the Moura System and features two coal loading points, the original mine served by a balloon loop and a more recent arrival in the form of Baralaba Coal who use a pad adjacent to the line into Moura about a kilometer west of Moura Mine junction. 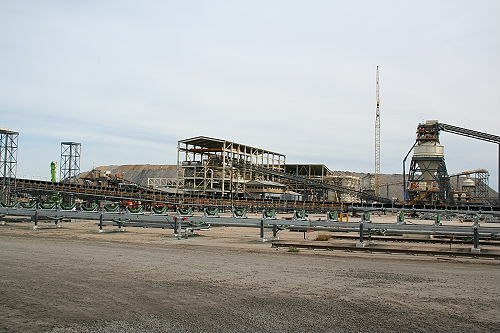 The new mine expansion expected to cost over one billion dollars has seen new leases being worked to the north of the rail line and Dawson Highway and heavy road trains were used to transport coal to the wash plant until a conveyor system was commissioned to the new wash plant. A new lease to the south of the existing mine is also being developed and stretches almost to Theodore. 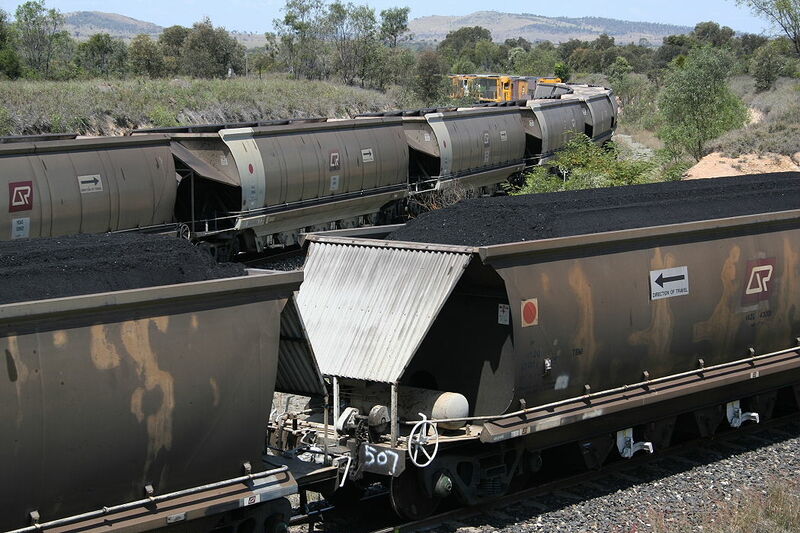 An existing proposal to rail coal from this pit via the Moura - Theodore branch has been ruled out and a combination of heavy off road transport and conveyor system over 40km long brings coal to the new wash plant and loader. The old wash plant was shut down in the afternoon of the 18th September 2007 replaced by the largest wash plant in Australia, for the moment. The existing plant was in service for 45 years and was originally built with a capacity of 2 million tonnes and upgraded over the years to 8 million tonnes by the time of shut down. While the new plant has a capacity of 13 million tones the old plant is being mothballed incase a surge in production or a shutdown requires it to come back online. 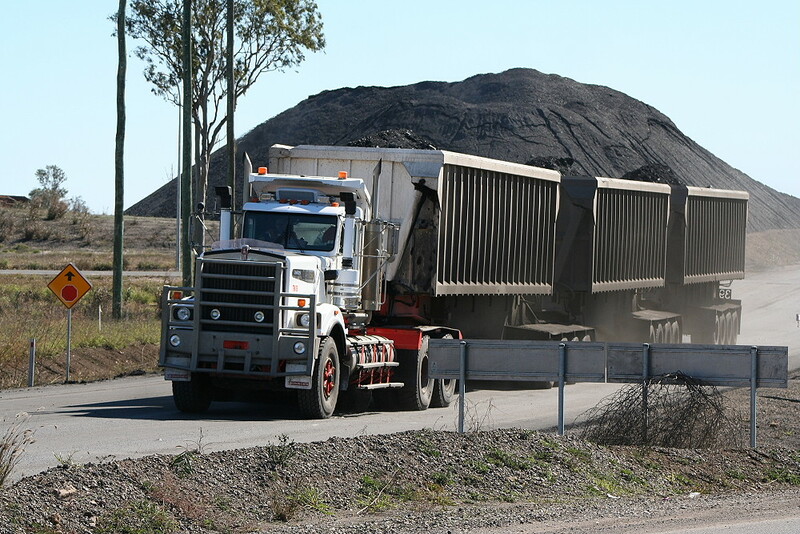 A heavy road train crossing the Dawson Highway from the new pit to the north of Moura Mine and is about to stop for the rail crossing, a conveyor is under construction to transport coal to the prep plant. 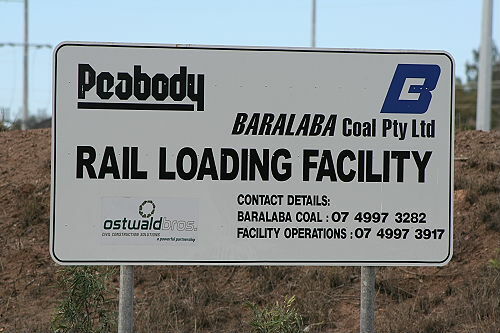 The Baralaba Coal loading pad is just west of Moura Mine on the old formation leading to Moura. 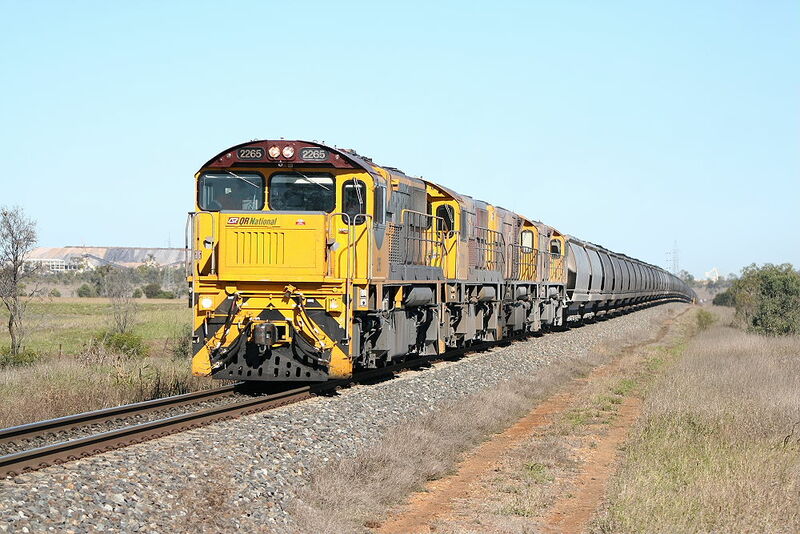 Trains usually run through the balloon loop at Moura Mine to turn around then reverse back to the pad after geting DTC authority because this part of the line is not under RCS control. 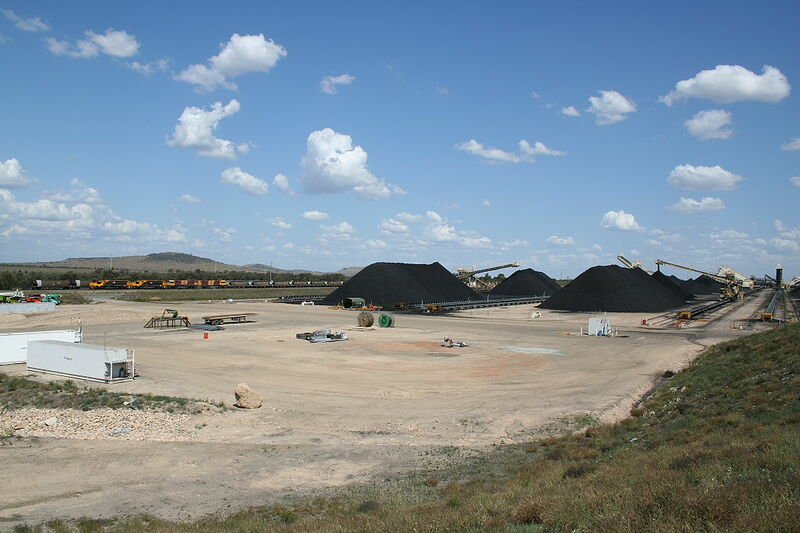 Coal is brought to the pad in double trailer road trains via dirt and sealed roads a distance of about forty kilometers. 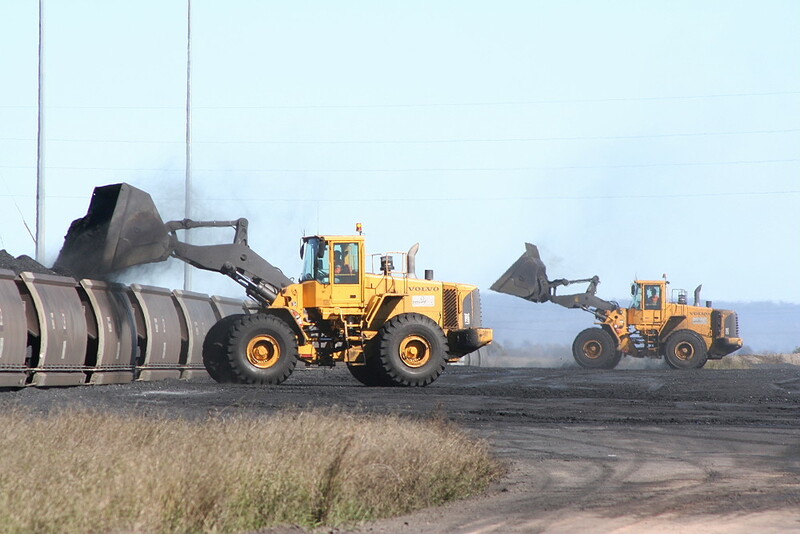 Two large front loaders take on the task of loading nearly six thousand tonnes of coal at the Baralaba Coal pad. 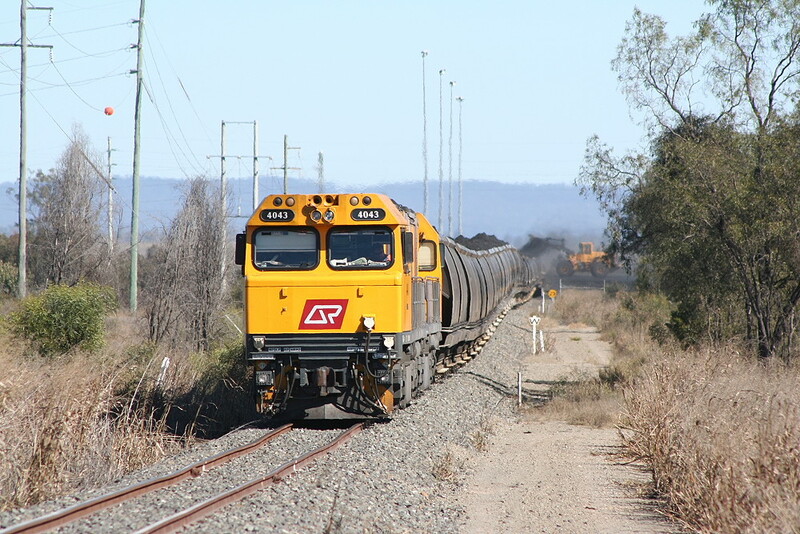 4043 and 4001 with an almost fully loaded train near the level crossing for the Moura Mine, it is the same train as the one pictured with the front loaders. 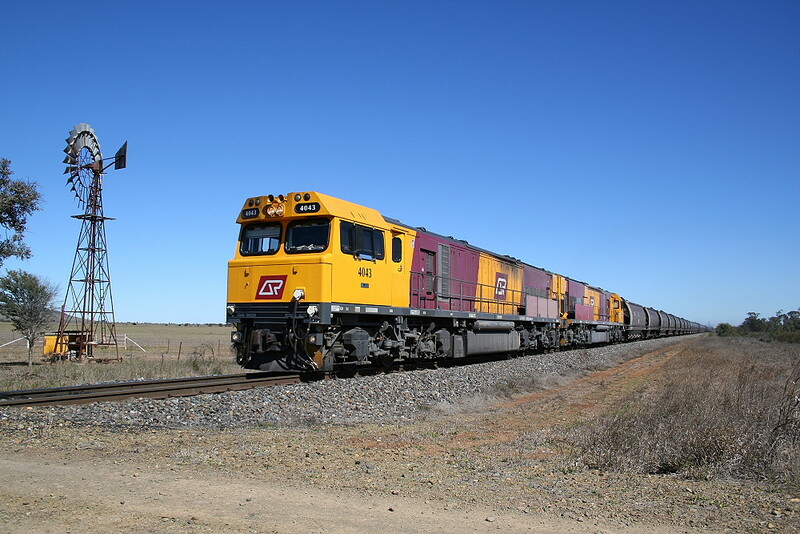 After a crew change the train departs the loading pad and is seen here approaching a level crossing for Zehal Station just east of Moura Mine. The new flood loader under construction with the old one to the rear, the photo to the right is the new preparation plant and stockpile area just to the right of the flood loader. 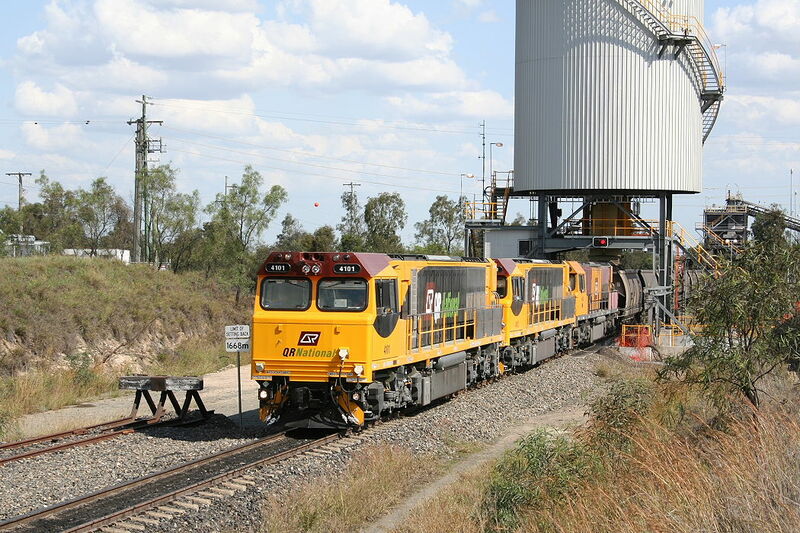 4101 and 4102 with 4038 as backup power pull through the new train loader at Moura Mine, with a capacity of 5000 T/PH the new loader makes short work of loading the smaller Moura trains. A train of 80 ton wagons enters Moura Mine loop to load, the line to the right continues on toward Moura. Just a small disclaimer, the text in the videos is not allways accurate. While doing my best to make it so it is not my primary focus when out photgraphing trains.